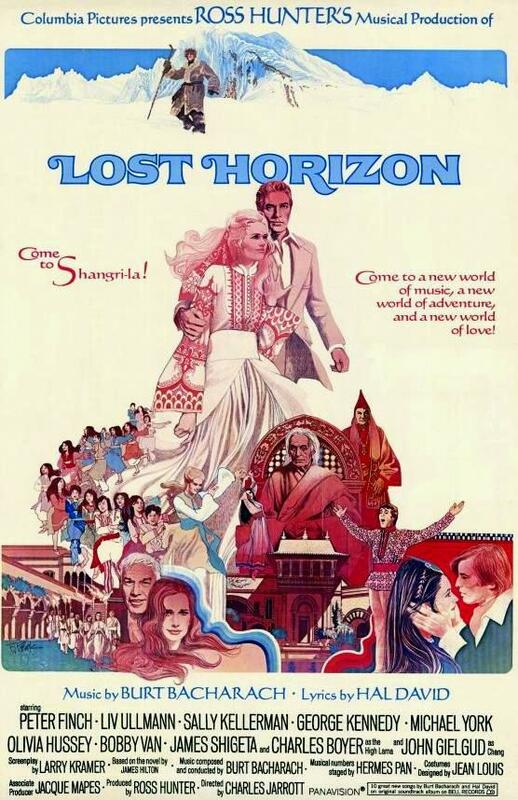 Just uploaded after lengthy research & scribbling are two lengthy comparative reviews of Frank Capra’s 1937 film version of James Hilton’s classic novel Lost Horizon (Sony) and Twilight Time’s stunning Blu-ray of the problematic 1973 musical remake, produced by Mr. Gloss himself, Ross Hunter. Yup, you’ve got almost 4000 words to discover the pros & cons of these two depictions of ordinary folks who succumb to the kind world of Shangri-La. Go!